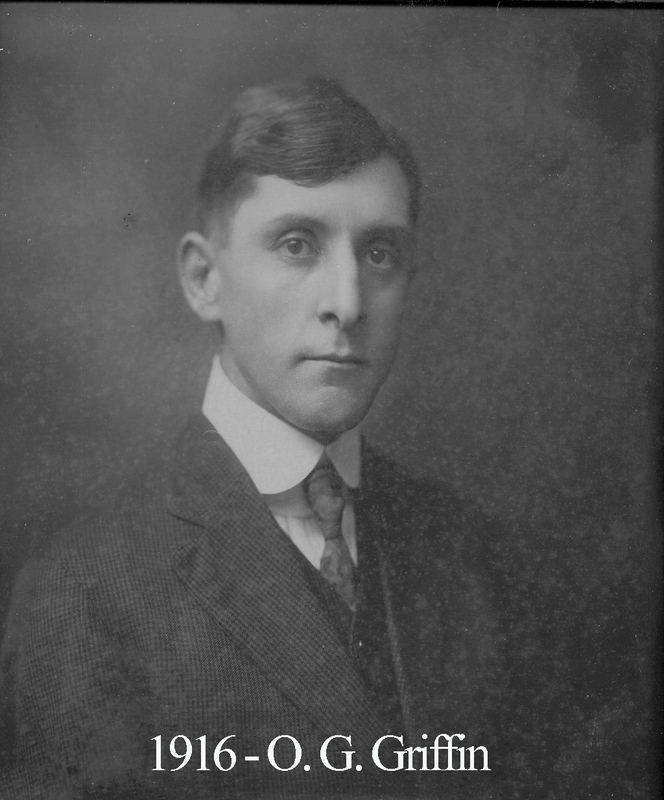 Born to a well-established family in Georgia, Oscar Griffin’s parents moved him with the family to Texas when he was still quite young. He went to school in Temple and attended Toby’s Business College. Griffin also credited his father for a great deal of his education. His working life was quite stable. He worked for Perfection Ice Scoring Machine Co. for many years, rising to superintendent before being hired by the Alamo Boiler and Machine Co. At Central Christian Church, he was a long-time deacon and sat on its financial board. When Griffin ascended to the East in 1915, he was only twenty six years old, making him the third youngest Master in the history of Waco 92 with JH Gurley and Robert Marshall only narrowly beating him. However, Griffin was the youngest 92 member ever to acquire a certificate in esoteric work at the age of 22. He died April 9, 1946. His WWI draft registration card is below.